From June 16 – August 12, 2017, Coach Shannyn toured Mongolia as a strength & conditioning coach for both the men’s & women’s Mongolian National Freestyle Wrestling Teams. Prior to making a national team that competes in one of the above world championships, athletes must compete in a national tournament or some type of world team trials to represent their country on the world stage and these tournaments are generally held in the spring or summer. All of the world championships are typically held from July-November or during the summer and now fall months. These world championships, now more than ever, have a more direct negative impact on long term athlete development for many high school and collegiate wrestlers in the USA. This is stated because most USA high school & collegiate wrestlers’ season is from November – February or March, and, if these athletes’ competed in these summer or fall world championships, they might be competing year round. Year round training & competing does not allow the body to adequately recover, adapt, adjust, nor supercompensate. When the body (muscles & mind) properly recover after training bouts & competitions, there is a period of time that the body relaxes and is ready to begin training or competing again. Many sports scientists call this part of the season the transition period while many coaches simply call it the off-season. Because of the amount of competitions and tournaments that are available now year round, high performance training (a systematic approach to training & competing) is becoming more important. HPT takes into consideration the entire calendar year as it relates to the athletes’ long term growth, development, & overall welfare. The author suggests that too many competitions annually will ultimately contribute to burnout, overtraining, & a lack of motivation for training or competitions. Too many competitions (i.e. competing year round) without a break – is not recommended by many sports scientists nor coaches for optimal training/preparation in a long term athlete development plan. To prevent overtraining or under-recovery in today’s world of year round competitions AND to promote peak performances in major competitions, it is suggested to carefully plan, plus, have a definite understanding and application of these training principles: periodization, recovery, peaking & tapering, & high performance training. Coaches, parents, & administrators have to keep the student athletes’ total health in mind – if they plan to prepare these students for year round competitions – due to the significant higher risk of burnout, overtraining, & injuries induced by 12-month long training & competing. These 3 factors or characteristics are more likely to exist when athletes are competing year round and may actually reduce the total amount of athletes in our wonderful sport over the long term. After a very successful season with the Lincoln College (LC) wrestling program, where he and head coach Daryl Thomas guided the Lynx wrestlers to academic & athletic success, Coach Shannyn is embracing new opportunities as head wrestling coach at Homewood-Floosmoor (IL) high school next fall and also strength & conditioning coach for the Mongolian Wrestling Federation this summer. The LC wrestling program amassed a team cumulative grade point average of 3.02 during the first semester and also went from 29th to 4th at the NJCAA National Championships during Coach Shannyn & Coach Thomas’ tenure. Coach Shannyn stated “I will bring the same level of expectation and excellence to HF”. From 2004-2012, Coach Shannyn was the women’s program coordinator for the U.S. Olympic Education Center wrestling team. During his stint at the USOEC, he coached at 34 National Championships, 12 international tournaments & camps, 4 World Championships, & 1 Pan American Championship. 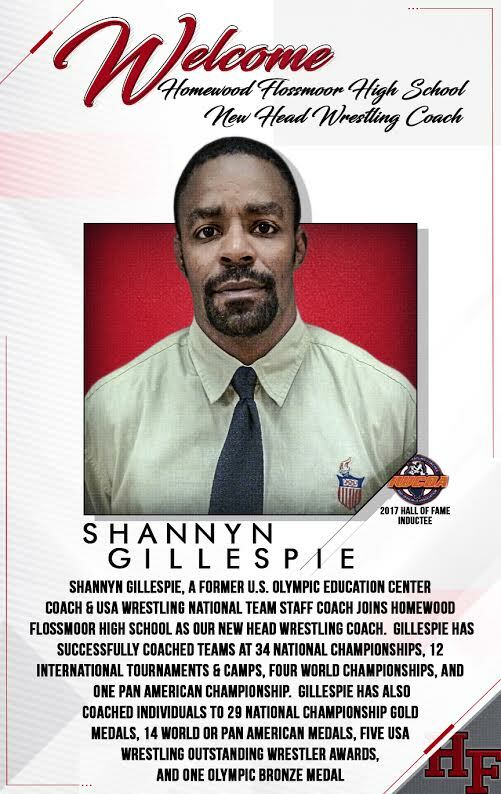 At the USOEC, Coach Shannyn also coached individuals to: 29 National Championship Gold medals, 14 World or Pan American medals, 5 USA Wrestling Outstanding Wrestler Awards, & 1 Olympic Bronze medal. When asked how we will transition what he has learned to Homewood-Flossmoor & Mongolia, he replied “The invaluable knowledge that I’ve learned at my most recent jobs with the U.S. Olympic Training Centers, USA National Teams, Overtime School of Wrestling, & now Lincoln College will be a huge part of the success of the High Performance Training systems employed at HF & Mongolia“. Performance Planning is the culmination of Psychological Skills Training to be applied everyday in practice and at all competitions. This plan will assist your long term athlete development for your career. Many athletes & coaches focus their collective strategy for success in competitions on mastering physical skills that deal with: technique, tactics, and strength & conditioning. This is very common as it should be, right? What about the psychological side or mental training that must also be honed daily? What happens when athletes get overly anxious or tense or nervous? Do they perform optimally or at their very best? Or, do they freeze up and perform much less then optimal or much less than their best? In my experience, the latter is more probable and this is the reason why performance planning encompasses Goals, Focus, Self-Talk, Imagery, & Energy Management. These mental skills or psychological skills can be trained, combined, & executed to assist all wrestlers in meeting the results they want to achieve – if trained in an everyday fashion – just like practice. The secret to success is a very effective written plan that is executed and is continuously revised for improvement. Some say, this is the essence of learning and then applying what has been learned. Rest assured, competition breeds competition. In other words, at most points in everyone’s life, they will be competing against others who also use effective plans or what I like to call High Performance Training plans. Because of the last paragraph, it may make sense to start using an effective plan for success today (then execute & revise the plan) – and now you have the tools to do so!